Back in college a friend of mine showed up to class one day with a small black and white sticker of Andre the Giant with the words OBEY printed right below his face. At the time this did not mean much to me as I was mostly concerned with school and when would I be able to sleep more than 3 hours in one shot. Years later I found that same sticker in a box of old stuff and when I told my friend (who had apparently donated it to me by accident) he acted as if I had found something of considerable value and requested I send it to him immediately. Over the next several years I became acquainted with the work of the artist behind OBEY, Shepard Fairey. Every once in a while I will go to the Obey Giant site and see what was going on. My latest visit brought me to an interview featuring Shepard (included at the bottom of this post). I looked at the company that had produced it and read Karmaloop TV. I thought to myself; “there is no way this is the same Karmaloop” I have mentioned in a previous post entitled collaboration and the rise of the prosumer. Much to my surprise it is. I discuss this company with my clients in regards to the potential of partnering with their customers. Karmaloop’s customers provide 1% of the overall t-shirt designs which generates 15% of their revenue. This is an example of a robust online culture playing an active role in their business. Their statistics according to compete show a 44% increase over 2007. This is very interesting and yet I’m not surprised. Fashion is a personal thing, like musical tastes and it makes sense to extend the culture to other arenas. I then started to take a deeper look at the business and found that it has extended it’s brand to encompass IPTV, a product blog, product (of course), brick and mortar, a style salon tracking who is wearing what, street teams which allow anyone to become a sales rep (a la recommendation) with business cards included and an underground market called Kazbah for up and coming brands. It also allows you to add banners or flyers to your site to support he cause. First, a list of things they are doing right. They have uploaded their party shots to flickr. They have a MySpace page which doesn’t look so good in Firefox and a MySpace page for their Boston store, which looks great in FF. They use Brightcove as their video delivery mechanism. They utilize RSS feeds to keep the loyal up-to-date. They have a video coupons on YouTube. The thing I like the most is that they will allow you to to create a banner/flyer on your own. The issue is that it seems you’re limited to the raw materials they have. I’m unsure if they would allow you to create your own from and scratch. If so it would be very close to advertising as self-expression. The system makes you create two accounts; one for the average biped and the other is for a sales rep. Makes sense logically and yet it seems like it would be better if they asked you if you wanted to be a rep while creating your standard account OR at the very least pushed that information to the ‘become a rep’ screen. Add a Wikipedia entry. Not sure how many people search on Karma and it has to be pretty high. Utilize mobile; at the very least SMS for product updates. MMS as soon as possible. Partner with Helio. The Ocean is by far the best mobile data/communication tool. The audience they’re targeting is obviously the hip/technologically enabled. Look at what the Helio Ocean does. Sign-up for the YouTube Partner Program. They currently have numerous videos online and I’m not sure they are truly utilizing YouTube as a distribution channel. Build a mobile version of their site. Utilize the secondary market by utilizing eBay to sell slow-selling items. Develop an application for MySpace to allow users to shop without leaving “their space” The application should have a method for friends to recommend items. Not sure if Brightcove’s Aftermix is alive and if it is I would have the sales reps remix Karmaloop TV content. Use Ki-Bi to spread the word virally. Great way to download an application that updates a person’s mobile with the latest Karma news. Take all of the things their doing and create one unified brand identity. I believe what I’m looking at is due to growth AND in the end your IPTV should look similar to your product blog which should look similar to your product section, etc. What troubles me the most is that there is all of this great activity going on within Karmaloop and it is essentially hidden. All of Karmaloop’s mediums need to opened up and visible if they are truly going to embrace the street culture. The product is then something that happens naturally if you are into the culture. Number 10 raises serious questions about what message that Karmaloop is sending, and more importantly; how do they successfully market across multiple mediums. In this case, most of the mediums are contained on the Internet (IPTV, blog, etc) and that’s what makes the Internet so interesting. The challenge of building a consistent brand identity across all the mediums Karmaloop is currently involved in, is a serious challenge. 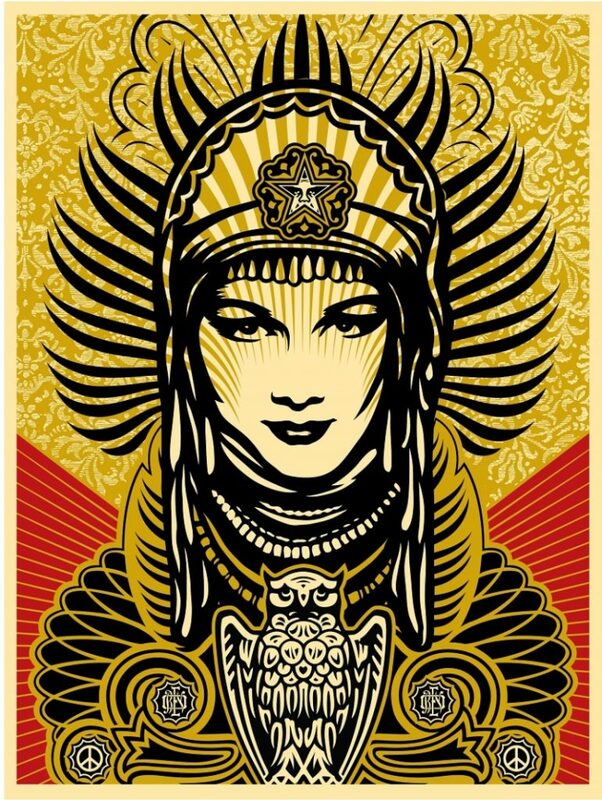 Maybe Greg Selkoe the CEO of Karma should consult with Shepard Fairey. According to Obey Giant’s landing page the medium is the message.